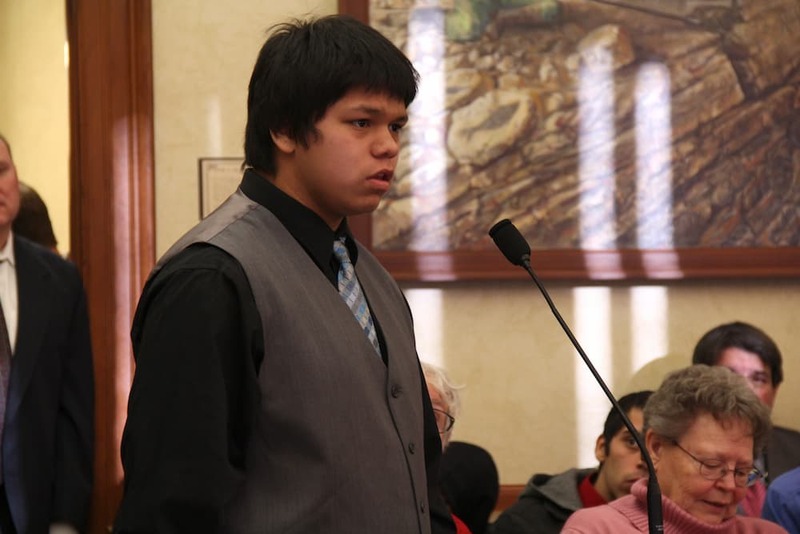 WhiteCloud SunRhodes, age 14, testified before Wyoming lawmakers on Monday about the stress of growing up on the Wind River Reservation, where there is no guarantee of living a long, healthy life. 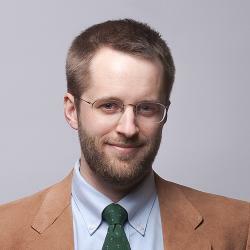 “I am worried about our generation, the younger generation, about the life expectancy,” he said. 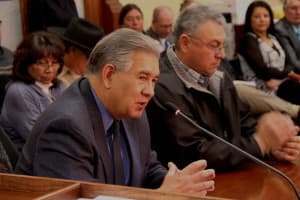 SunRhodes was among members of the Northern Arapaho Tribe who traveled to the Capitol this week to speak in support of more funding for Indian Health Service clinics and tribal facilities. The Wyoming Legislature must approve the pass-through of federal Medicaid funds for the clinics, even though no state funds will be spent. Northern Arapaho Business Council member Richard Brannan didn’t mince words. “We are here to save lives,” he told the Joint Appropriations Committee. Brannan worked for years as the IHS director for the Wind River Reservation, and was elected to the Northern Arapaho Business Council in December. He spoke in support of a budget letter from Gov. Matt Mead (R) to allow more Medicaid money to pass through the state to reservation health providers. That would allow IHS clinics to increase the availability of preventative care. The IHS clinic in Fort Washakie would create “patient-centered medical homes” where staff could address patients’ needs, whether they be optometry, diabetes management, substance abuse, or counseling. If approved, the Medicaid pass-through measure would initially bring $17 million to IHS clinics on the reservation over the next five years. The money would also fund Section 638 programs operated by the Eastern Shoshone and Northern Arapaho. The Tribes have agreed to reimburse the state for a 4 percent administrative match required by Medicaid, or about $480,000 per year under the $17 million pass-through. That means the state of Wyoming would pay nothing. The Tribes plan to use the funds to enlarge the Fort Washakie Indian Health Service Clinic. The building is the oldest IHS clinic in the nation, built in 1884 as a cavalry commissary. The larger square footage would qualify the IHS clinics for a higher level of federal funding of $11.7 million per year. That would more than double the $6.7 million in annual IHS funds currently directed to the Wind River Reservation, which Brannan said is the lowest per capita-funded division in the Billings Area Indian Health Service. Rep. Lloyd Larsen (R-Lander) supports the Medicaid pass-through as a member of the Select Committee on Tribal Relations. “In a lot of cases, if you visit IHS, it is just rudimentary services,” he said. Brannan expects the Medicaid funding would reduce the burden of uncompensated care for the Riverton and Lander hospitals by serving more patients on the reservation. Preventative care would help reduce the severity of illnesses, helping people stay out of costly emergency rooms and intensive care units. He estimated building a new Fort Washakie clinic with 27 exam rooms would create up to 117 new jobs on the reservation. “The money that comes off the reservation and creates more jobs, creates more income for everybody in Fremont County,” Brannan said. He estimates that a dollar of income on the reservation turns over six or seven times in Riverton or Lander.